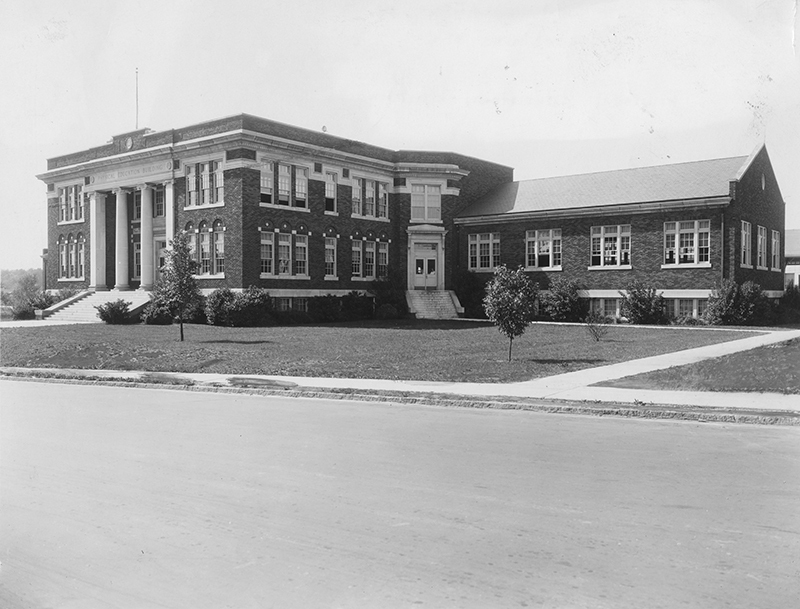 Description: Rosenthal Gymnasium, shortly after its completion. The gymnasium was reportedly one of the best college gymnasiums in the nation at the time of its construction. It was named in 1928 for Jonathan "Joe" Rosenthal, a member of the Board of Directors from 1910 to 1927. Preferred Citation: Rosenthal Gymnasium, University Archives Photograph Collection, University Archives and Manuscripts, The University of North Carolina at Greensboro.